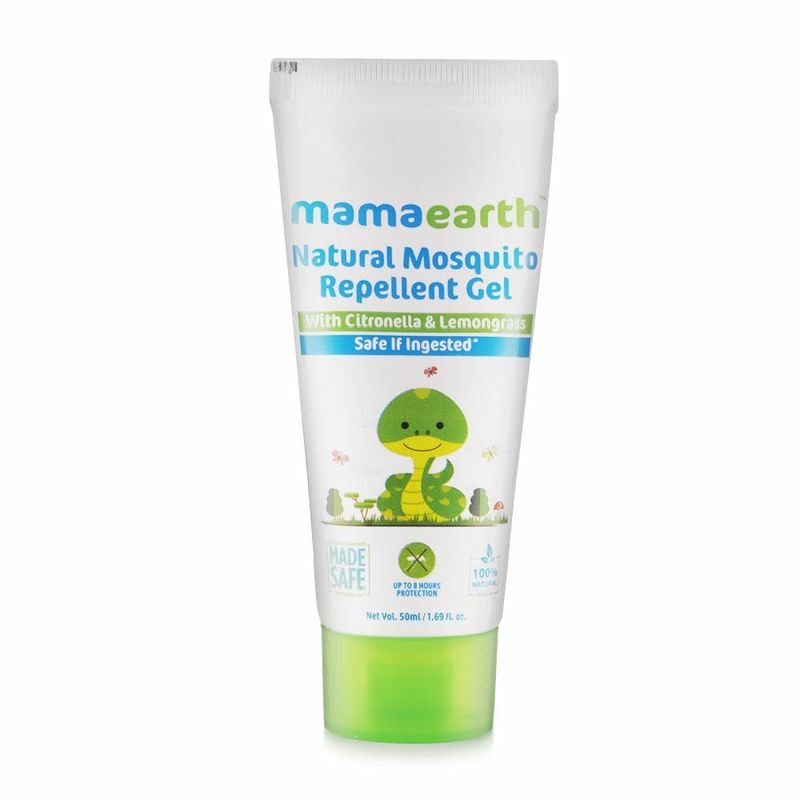 Mamaearth's natural mosquito repellent gel protects your kids and family by repelling mosquitoes that may transmit chikungunya, dengue & malaria, without exposing them to any toxic chemicals like petrochemicals and DEET. With all natural active ingredients like citronella oil, eucalyptus oil & lemongrass oil, this non irritating and non greasy formula protects you without being harsh on your skin. Apply it for protection from mosquito bites outdoor & indoor as well as day & night. It is Dermatologically tested and completely safe for the entire family including infants with sensitive skin. 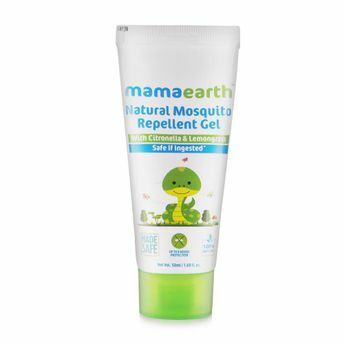 100% Natural Protection - Our DEET Free non greasy mosquito repellent gel is a blend of natural actives Citronella, Lemongrass & Lavender Oil. It effectively protects your family from mosquito bites while moisturizing the skin. Upto 8 hours protection - Apply uniformly on exposed skin to repels mosquitoes for up to 8 hrs, as our natural actives have strong mosquito repellent properties. Protects From Dengue, Malaria & Chikungunya - Blend of Citronella, Lavender & Lemongrass oil is used for their strong insect repellent properties. Together they protect us from mosquito bites of Malaria, Dengue & Chikungunya spreading mosquitoes. Safe If Ingested - Our toxic free gel with natural ingredients is kids safe if they ingest the cream accidentally while being applied on their skin. Certified Toxin Free - ingredients undesirable for the health conscious consumer like DEET, SLES, PEG, insecticides, mineral oil or parabens. About the Brand: Asia's 1st MadeSafe Certified Brand! Mamaearth aspires to take care of every parents & baby's wellbeing from head to toe with safe, toxin free, international standard products which you can choose without having to think twice.The products under the brand go through multiple testing processes including clinical dermatology testing in Europe to make sure they are high quality, global standard products. Apart from being safe as certified these products are also enriched with goodness of natural ingredients like Calendula Extract, Shea butter, Jojoba Oil to name a few. Mamaearth plans to provide safe natural solution to problems ranging from morning sickness to baby colic in future.